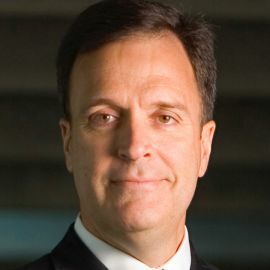 Mark Sanborn is the president of Sanborn & Associates, Inc., an idea lab for leadership development and turning ordinary into extraordinary. Sanborn has given over 2600 presentations in every state and fourteen countries. He has authored 8 books and more than two dozen videos and audio training programs. His programs are taught by Crestcom International in 90 countries and he is an adjunct professor at the University of Memphis. Sanborn’s book, The Fred Factor: How Passion in Your Work and Life Can Turn the Ordinary Into the Extraordinary is an international bestseller and was on the New York Times, Business Week and Wall Street Journal bestseller lists. His other books include You Don’t Need a Title to be a Leader: How Anyone, Anywhere Can Make a Positive Difference and The Encore Effect: How to Achieve Remarkable Performance in Anything You Do, Up, Down or Sideways: How to Succeed When Times are Good, Bad or In Between and Fred 2.0: New Ideas on How to Keep Delivering Extraordinary Results. His latest book is, The Potential Principle: A Proven System for Closing the Gap Between How Good Your Are and How Good You Could Be. Sanborn is a member of the Speaker Hall of Fame and is a past president of the National Speakers Association. His list of clients includes Costco, Enterprise Rent-a-Car, FedEx, Harley-Davidson, Hewlett Packard, Cisco, KPMG, Morton’s of Chicago, New York Life, RE/MAX, ServiceMaster, ESPN, GM, IBM, Avnet, Sandvik and John Deere. 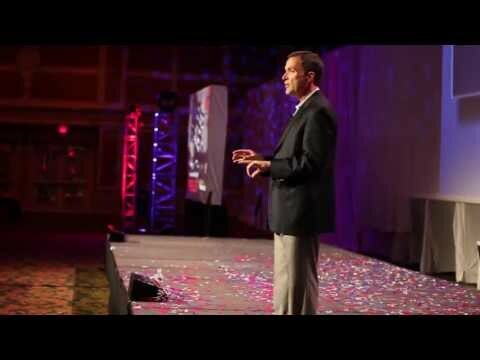 How Passion in Your Work & Life Can Turn the Ordinary into the Extraordinary - This leadership keynote is the basis for Mark Sanborn's international bestselling book The Fred Factor. In this revealing leadership keynote presentation, you will discover the secrets of extraordinary individuals who have learned how to reinvent themselves and their work to create added value for customers and colleagues without spending more money to do it. 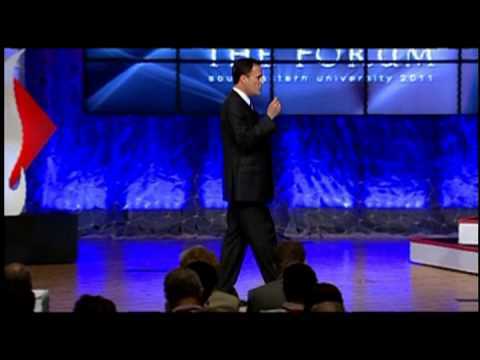 If you are looking for a high-content presentation that will educate, entertain, and impact, this is the speech. How Anyone, Anywhere Can Make a Positive Difference - Develop your genuine leadership ability when you understand that true leadership is not a function of title. Learn how to exercise little "l" leadership through developing power with people. 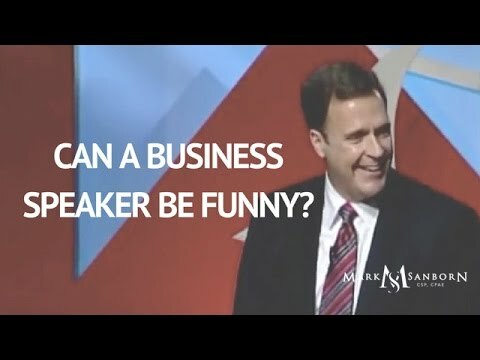 This leadership presentation is based on Mark Sanborn's best-selling business book of the same name. How to Give a Remarkable Performance in Anything You Do - A remarkable performance on stage commands an encore. The Encore EffectMark Sanborn's latest, high impact presentationteaches you how to achieve the kind of extraordinary performance on the job that leaves your customers, colleagues, and community clamoring for more. How to Succeed All the Time - Most organizations and individuals have a kneejerk reaction to changing economic conditions. They behave differently in recessions than during boom times by cutting or curtailing the activities that are most important for future success. They act even differently when the economy is moving sideways, often becoming complacent with mediocre performance. The problem? These changes in practices and attitudes are inconsistent and ill timed. Companies like this are playing catch up rather than leading and are whiplashed by significant changes in their markets and the economy. How to Succeed When Times Are Good, Bad, or In Between, teaches individuals and organization the three mindsets and four methods that if practiced consistently that will mitigate the downturns, maximize the upturns, and create sustainable success, regardless of circumstance. How do you keep getting better, when you’re already the best? Or what happens when complacency, outdated thinking or weariness stunts performance? Today’s top companies often experience a crisis once they’ve moved into the top spot; it is easy to become complacent and rest on past accomplishments. When you’re Number One, you must keep increasing your lead or you run the risk of being overtaken by the competitors biting at your heels. Mark teaches why top performers must go beyond simply “achieving the goals” or “making your numbers,” why “taking action” isn’t enough (and what really is), as well as how to become laser-focused on the specific duties that produce the biggest results. This program will supercharge your outlook and performance. Few people are "natural born leaders," but leadership can be learned and this presentation teaches it. You'll get a practical blueprint for creating leaders at every level in your organization and learn how to reach new heights. Successful organizations need a comprehensive service strategy and techniques people can use to achieve service excellence. Being "nice" to customers isn't enough. This presentation shows how to deliver the kind of superior service that most organizations only talk about.